Until the early 1990s, our understanding of (the poetics of) Neue Sachlichkeit (New Objectivity) was highly influenced by contemporary authors who opposed this artistic tendency. As scholars like Ralf Grüttemeier and Sabina Becker have shown, literary historians tended to reproduce such normative views on Neue Sachlichkeit as adequate descriptions. The last two decades, however, researchers are more concerned with the Neue Sachlichkeit-proponents themselves, thus shifting the focus to poetic and critical texts surrounding the phenomenon and to the artistic production in a ‘new objective’ tradition. The volume Neue Sachlichkeit and Avant-Garde (edited by Ralf Grüttemeier, Klaus Beekman and Ben Rebel) is a typical exponent of this shift, as its contributions mainly deal with the poetical, rhetorical and discursive dimensions of Neue Sachlichkeit and its position in the literary and artistic fields of the 1920s and 1930s. As New Objectivity was primarily a Dutch and German enterprise, the volume’s geographical focal points are the Netherlands and Germany, although the editors claim that the phenomenon can also be traced elsewhere (the contribution of Willem G. Weststeijn on the Russian constructivist Aleksei Gan, however, does not deal with Neue Sachkichkeit that much). In their introduction to the volume, Grüttemeier, Beekman and Rebel point out two aims of Neue Sachlichkeit and Avant-Garde. In the first place, by focusing not only on literature and painting but also on architecture and photography, the book seeks to get a clearer idea of the scope of the concept Neue Sachlichkeit. This works out well, considering the illuminating contribution by Marieke Kuipers on Gerrit Rietveld’s relation to New Objectivity and Ben Rebel’s detailed account of the appearance and disappearance of the terms ‘Nieuwe Zakelijkheid’ (the Dutch equivalent of Neue Sachlichkeit) and ‘Nieuwe Bouwen’ (‘New Building’) in modern architecture in the Netherlands. The second aim of the volume is to analyze the new artistic tendency as a positioning strategy in the Bourdieuian sense: by relating or opposing themselves to Neue Sachlichkeit, writers and artists in the interwar period sought to define their position within the cultural field. According to the editors, such a stance had three dimensions: by embracing the characteristics of New Objectivity, artists showed that they accepted modern developments in technology, social structures and politics as a given reality (1), that they were able to catch up with international developments in their field (2) and that they did not believe in strict boundaries between different kinds of media (3). Avant-Garde seems to be a critical comparison between the two types of art that are mentioned in the title of the volume, that wishes to be read ‘as a plea for a differentiated description of the many shared aspects and some differences between the avant-garde and Neue Sachlichkeit’ (14). An interesting account of these shared aspects is provided by Sabine Kyora, who argues that the concept of the ‘subject’ in Neue Sachlichkeit resembles the use of this notion in Dadaism and Expressionism. Focusing on the reception of Neue Sachlichkeit among Dutch authors and critics, Jaap Goedegebuure also points at (perceived) similarities between New Objectivity and avant-garde: critics like Hendrik Marsman and Constant van Wessem did not make a distinction between Neue Sachlichkeit and Expressionism. avant-garde, using its movements as the background against which they presented their art as different, whereas they were in fact indebted to these traditions. This is a fruitful perspective, for it shows that Neue Sachlichkeit is not a fixed category, but a discursive construct that gives us more insight in the (interactions between) literary and artistic fields in the interwar period. 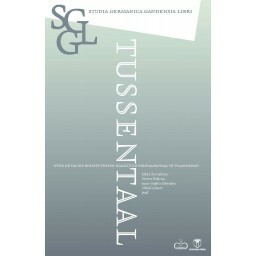 At this point, Neue Sachlichkeit and Avant-Garde is a welcome addition to the study of Dutch literature in the 1920s and 1930s: the volume connects well with other current research that seeks to explore (discursive) position takings in this period, such as the NWO-funded program ‘Dutch Middlebrow Literature: Production, Distribution, Reception’ (Rijksuniversiteit Groningen / Open Universiteit Nederland / Radboud Universiteit Nijmegen). Although the editors claim that Neue Sachlichkeit and avant-garde are ultimately quite similar, their introduction implies that these movements took a different stance towards modernity. According to Grüttemeier, Beekman and Rebel, avant-garde was deemed to be ‘modern’, while the position of Neue Sachlichkeit was more ambiguous: it avoided ‘a radical opposition towards modernity as well as uncritical adoration’ (13). This seems an adequate paraphrase of New Objectivity’s way of dealing with modernity, but we should not forget that the relation between avant-garde and modernity might also be ambiguous: as Raphael Sassower and Louis Cicotello have argued in The Golden Avant-Garde: Idolatry, Commercialism, and Art (2000), avant-garde artists were ambivalent towards the predicaments of modernity too. Similarly, the differences between avant-garde and Neue Sachlichkeit in terms of position taking (with the first ‘defending’ its position and the latter ‘conquering’ one) should not be overestimated: it would be interesting to find out whether avant-garde can be considered as a positioning strategy as well. In general, Neue Sachlichkeit and Avant-Garde is a comprehensive book that cannot only serve as an introduction to the debates surrounding New Objectivity in the 1920s and 1930s, but that also gives a welcome impulse to the study of the interwar period by effectively combining discourse analysis with a more institutional approach. With the international audience of the publication in mind, though, some of the case studies on Dutch literature could have paid more attention to the phenomenon of pillarization and its consequences for the reception of Neue Sachlichkeit. The extensive contribution of Gillis Dorleijn, for instance, quotes the Protestant Cornelis Rijnsdorp as an advocate of new objective literature, but this critic rather had an equivocal attitude towards Neue Sachlichkeit, which in his view lacked depth and personality. Nevertheless, Neue Sachlichkeit was a phase that Protestant literature needed to go through in order to be taken more seriously. It would have been interesting if Dorleijn had elaborated more on this typical Protestant stand, especially because of the focus on Neue Sachlichkeit as a position strategy. Likewise, I wonder whether Lut Missine’s intriguing analysis of Albert Kuyle’s new objective prose had differed, had she taken his position in the Catholic segment of the Dutch literary field into account. Ultimately, these critical questions do not dismantle the project of Sachlichkeit and Avant-Garde. Rather, they ask for additional research on these matters, that deserve even more attention in the near future. Ralf Grüttemeier, Klaus Beekman & Ben Rebel (red. ), Neue Sachlichkeit and Avant-Garde. Amsterdam/New York: Rodopi, 2013. 387 pp. isbn: 9789042036406. € 80,–. In het negentiende-eeuwse Europa waarde een epidemische obsessie met het verleden rond, die zich in alle takken van cultuur manifesteerde. Aldus Marita Mathijsen, die dit verschijnsel ‘historiezucht’ doopt in haar afsluitende studie van het project The Construction of the Literary Past in the Netherlands. In deze synthetiserende publicatie verwerkt ze onderzoek van haar projectmedewerkers Jan Rock, Lotte Jensen, Janneke Weijermars, Francien Petiet en Karin Hoogeland, terwijl o.a. ook van werk van Joep Leerssen, Ellinoor Bergvelt en anderen ruimschoots gebruik gemaakt is. 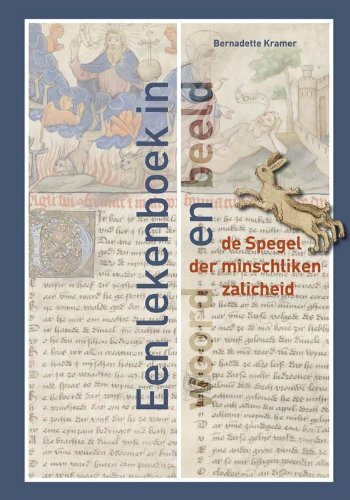 Historiezucht is een samenvattend boek dat voor een breed publiek van belangstellenden toegankelijk is. Bij het derde glaasje denken ze dat ze dat museum niet met z’n drieën opgericht krijgen. Ze stoppen een nieuwe pijp en besluiten brieven te gaan schrijven […]. De namen liggen voor de hand. Natuurlijk de schrijver Jacob van Lennep. Het is toch al vreemd dat die er vandaag niet bij is. Hij heeft vast een aanval van jicht (376). Op deze vorm van gefictionaliseerde gesprekken heeft Marita Mathijsen patent, zoals al bleek in De geest van de dichter uit 1990. Als uitgangspunt bij de beschrijving van dit ingewikkeld beschavingsproces neemt Mathijsen de antithese van continuïteit en discontinuïteit sinds de Franse revolutie. Enerzijds was er in de verlichting al de eerste gedaanteverwisseling naar openbaarheid zichtbaar (ze verwijst naar Habermas), anderzijds heerste na de revolutie het sterke breukgevoel dat onder anderen Koselleck en Stephen Bann benadrukten. Zij kiest voor de antithese in die zin, dat de ingrijpende veranderingen van de revolutie juist doen teruggrijpen op het verleden. 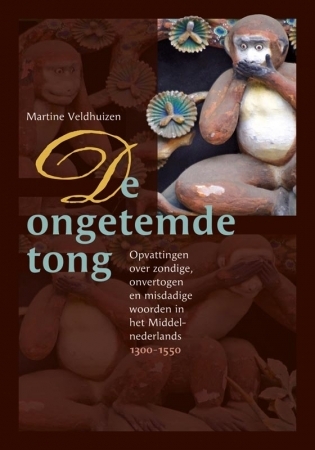 De rode draad in het boek van Mathijsen is haar ambitie te laten zien hoe ‘de gewone man toegang kreeg tot het verleden’ en haar claim te tonen hoe de ‘toe-eigening van de geschiedenis’ zich voltrok. Er is sprake van ‘de gewone lezer’, van ‘iedereen’, soms is er ook sprake van de ‘burger’ of ‘voorname burgerij’. Bij een dergelijke herhaalde kerndoelstelling van dit boek verbaast het toch dat er nauwelijks systematisch aandacht uitgaat naar de literaire of culturele socialisatie van deze gewone man als lezer of kijker en naar het vermogen van de verschillende milieus om ‘cultureel kapitaal’ te vergaren. Hoe aantrekkelijk en overtuigend het grote verhaal ook is, de bijeengegaarde hoeveelheid van zoveel ongelijksoortig materiaal leidt ook in dit geval tot onevenwichtigheid. In de eerste plaats valt op, dat de vondst van de verzamelterm ‘historiezucht’ als een constructie achteraf als nadeel heeft, dat het zicht belemmerd wordt op de termen waarin men in de contemporaine geschriften over historische belangstelling sprak. Maar ook als je dit bezwaar voor lief neemt, is de periodisering binnen de grote beschavingsbeweging niet altijd duidelijk te volgen. De periode van 1800 tot 1850 wordt als het kernpunt van de ‘historiezucht’ aangemerkt, maar de chronologische ontwikkeling van ideeën verschilt sterk per genre of discipline, zoals uit haar behandeling per hoofdstuk blijkt. De lezer had wel wat hulpconstructies kunnen gebruiken. Zo heeft de monumentenzorg zich pas in de tweede eeuwhelft ontwikkeld, wat duidelijk blijkt uit het treffende voorbeeld van het Muiderslot, dat in 1825 voor de sloop te koop werd aangeboden, en ook uit het feit, dat Barend Koekoek het nog in 1841 onzin vond om een ruïne door restauratie te behouden (Krul 2009:146). Ook in de schilderkunst en in de wereld van de musea voltrekt de ‘toe-eigening’ van het verleden zich pas in de tweede helft van de eeuw. Mathijsen stelt vast, dat de publieksuitbreiding voor de kunsten zich vooral in die eeuwhelft voordoet. Dat blijkt ook uit haar voorbeeld van Potgieters ‘Rijksmuseum’, waarin naar haar oordeel ‘al vroeg’, namelijk in 1844, de onverschilligheid voor het verleden aan de kaak gesteld werd. Ook haalt ze Ellinoor Bergvelt aan, die ‘nationale onverschilligheid ten opzichte van schilderkunstig erfgoed tussen 1830 en 1870’ signaleert. Waar dit boek de ‘toe-eigening’ van de geschiedenis door ‘iedereen’ bespreekt, zou de grote uitbreiding van het publiek dus voor een groot deel na de kernperiode van de historiezucht vallen. Mathijsen gaat uit van een gelijktijdige aanwezigheid van Romantiek en Biedermeier in het verschijnsel ‘historiezucht’, die ze niet als tegenstrijdig ervaart. Haar tentatieve verklaring voor de gelijktijdigheid van beide verschijnselen noemt ze Freudiaans, waarbij het ‘Ich’ de burgermaatschappij zou zijn, het ‘Es’ de traumatische ervaring van de revolutietijd en het ‘Uber-Ich’ een vereniging van romantiek en burgermaatschappij, zonder tot een harmonie komen. In een publicatie ter gelegenheid van Mathijsens afscheid als hoogleraar in Amsterdam deed Wessel Krul de suggestie om voor de periode 1814-1848 in Nederland over een getemde romantiek te schrijven, bij voorkeur aan te duiden als post-romantiek, die niet uitbundig of emotioneel, maar beheerst en verstandig was, en alles wat hemelbestormend was, temde en in de kaders van het burgerlijk leven onderbracht (cf. Wessel Krul, ‘B.C. Koekoek en de romantiek’. In: Lotte Jensen & Lisa Kuitert (red. ), Geluk in de negentiende eeuw [..]. Amsterdam, 2009). Misschien opent die suggestie nieuwe perspectieven. Behoudens de genoemde bezwaren is dit een kostelijk boek, waarin Marita Mathijsen er met een overvloed aan gegevens in geslaagd is de ‘democratisering van het verleden’ invoelbaar te maken voor een breed publiek. Binnen de moderne Nederlandse literatuurstudie heeft het onderzoek naar negentiende-eeuwse letteren een opmerkelijke emancipatie ondergaan. Het is, naar het voorbeeld van de mediëvistiek, een afzonderlijk terrein geworden waarop een kenner van pakweg de twintigste-eeuwse letterkunde zich niet zonder onzekerheid zal wagen. Dat de verzelfstandiging van de studie naar de negentiende eeuw bovendien ook opmerkelijk snel is verlopen, blijkt duidelijk uit de interessante historische schets in de inleiding van Ellendige levens: anno 1976 slaan enkele gepassioneerde academici de handen in elkaar en stampen zij de Werkgroep Negentiende Eeuw uit de grond. Uit hun werkgroep vloeit een jaar later het gelijknamige wetenschappelijke tijdschrift voort. De werkgroep en het tijdschrift vormen als het ware het startschot van het autonome wetenschappelijke onderzoek naar de Nederlandstalige literatuur uit de negentiende eeuw, met zijn eigen congressen, publicaties en specialisten. Een van die deskundigen, en bovendien een van de oprichters van de werkgroep en het tijdschrift, is Peter van Zonneveld. Het is naar aanleiding van Van Zonnevelds emeritaat aan de Universiteit Leiden dat Ellendige levens. Nederlandse schrijvers in de negentiende eeuw onder de redactie van Rick Honings en Olf Praamstra tot stand is gekomen. Het concept van Ellendige levens borduurt voort op een initiatief dat Van Zonneveld in de vroege jaren 1980 in samenwerking met De Gids op touw had gezet maar niet afgewerkt had: een portrettengalerij van negentiende-eeuwse schrijvers, met een speciale aandacht voor de ellende in hun levens. Peter van Zonnevelds bedoeling was op die manier de populaire visie op de negentiende eeuw als een ‘gezapig tijdperk met brave dominees’ (9) – een visie die de Tachtigers ingang hebben doen vinden – bij te stellen. Net zoals Van Zonneveld willen Honings en Praamstra met hun opstellenbundel aantonen dat de negentiende-eeuwse auteurs meer waren dan louter saaie theologen of bekrompen burgerheren en -dames maar dat ze vaak ‘een enerverend leven hebben geleid, dat tot de verbeelding spreekt en voor de tegenwoordige lezer als een verrassing komt’ (12). Zo proberen ze te bieden wat in de bestaande historiografie van de negentiende-eeuwse letterkunde vaak ontbreekt: gedetailleerde biografische informatie over de toenmalige auteurs, ingebed in de bredere maatschappelijke context. Het liber amicorum voldoet op dat vlak zeker aan de geponeerde doelstellingen. De bijdragen leveren boeiend geschreven biografische schetsen van bekende (Bilderdijk, Tollens, Van Lennep, Potgieter, Multatuli, Gezelle …) en minder bekende (Haafner, Helmers, Borger, Melati van Java …) schrijvers uit de negentiende eeuw. Ook de medewerkers van de bundel zijn van diverse pluimage: naast academici (jonge en gevestigde) hebben ook literatuurcritici, dichters en zelfs specialisten uit andere domeinen dan de literatuurwetenschap met hun eigen kijk een bijdrage geschreven. De keuze van de auteurs is meestal meer dan terecht: het gros van de geselecteerde schrijvers heeft een leven geleid dat de titel Ellendige levens optimaal illustreert. Een rijkdom van de bundel bestaat er dan ook in dat hij de lezer meer dan eens doet verlangen naar een hedendaagse biografie van de behandelde auteurs. Vreemd genoeg is het leven van bijvoorbeeld Elisabeth Maria Post, Hendrik Tollens, De Schoolmeester, Anna Louisa Geertruida Toussaint, Piet Paaltjens e tutti quanti immers nog niet geboekstaafd. Van andere auteurs – zoals Bilderdijk en Multatuli – bestaat er wel al een volwaardige biografie, maar wegens hun prominente plaats in de canon konden zij in Ellendige levens niet ontbreken. Niet alleen nodigt de publicatie van Honings en Praamstra uit tot een verdere uitdieping van de geschetste levens, sommige bijdragen wijzen daarenboven ook de weg naar een aantal intrigerende onderzoekssporen. Van Zonneveld zelf bijvoorbeeld stelt de pertinente vraag naar het einde van de Wahrheit en het begin van de Dichtung in de vaak geromantiseerde autobiografieën van Willem Bilderdijk en zijn negentiende-eeuwse collega’s. Jensen laat op haar beurt zien dat de poëzie van Jan Fredrik Helmers – nochtans bekend om zijn progressieve ideeën en kosmopolitisme – doorspekt is met huiselijke en kleinburgerlijke motieven. En Raat pleit expliciet voor een exhaustief onderzoek naar de publiceerpraktijk van Aarnout Drost en de bewerkingen die Potgieter, Bakhuizen van den Brink en Jan Pieter Heije postuum in Drosts onvoltooide oeuvre hebben aangebracht. Al zijn de bijdragen dus boeiend en doen sommige een aantal concrete vragen rijzen, toch blijven de meeste opstellen algemeen en louter biografisch. Die focus op de (ellendige) levens van de schrijvers is weliswaar de doelstelling van het boek maar zorgt ervoor dat sommige opstellen aan belang en originaliteit inboeten. De stukken over de auteurs van wie er al een biografie bestaat, bijvoorbeeld, waren wegens de grote naam noodzakelijk maar dragen niets bij aan de bestaande kennis. In een aantal bijdragen is het bovendien zoeken naar de Sturm und Drang in het leven van de besproken auteur. Zo hebben figuren als Gerrit van de Linde en Jan Jacob Lodewijk ten Kate weliswaar tegenslagen gekend in hun leven, maar die worden niet voldoende belicht om echt in het kader van Ellendige levens te passen. 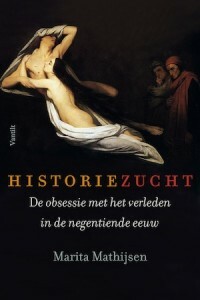 Veelzeggend is dan ook dat de interessantste stukken juist die met een welomlijnd perspectief zijn, zoals Mathijsens opstel over Jacob van Lenneps relaties met vrouwen, Van den Bergs blik op het postuur en de zelfrehabilitatie van Adriaan van der Hoop jr. en Van Kalmthouts zoektocht naar Anna Louisa Geertruida Toussaints drijfveren om te schrijven. Meestal zijn de bijdragen echter perspectiefloos en iets te vrijblijvend: levensverhalen in een notendop. De wetenschappelijke lezer blijft dus soms onvoldaan achter en zal bovendien opkijken van enkele normatieve uitspraken over de negentiende-eeuwse literatuur. Zo wordt Aarnout Drosts roman Hermingard van de Eikenterpen een ‘onevenwichtig en op toevalligheden gebaseerd bouwwerk’ genoemd (129) en zou Conrad Busken Huet ‘altijd levendig en, bij alle sarcasme en venijn, ook vaak geestig’ schrijven (188). Uiteraard is Ellendige levens in de eerste plaats bedoeld als een liber amicorum, en als dusdanig is het boek het lezen waard. Alle biografische portretten naast elkaar vormen een boeiende onderdompeling in de negentiende eeuw en laten de lezer toe om parallellen te bespeuren tussen de verschillende levenslopen en voorzichtige vaststellingen te maken over het toenmalige literaire bedrijf. De talrijke citaten uit de oeuvres van de besproken auteurs zijn goed gekozen en in sommige gevallen ronduit verrassend (denk maar aan de spotdichten van de vaak als saai bestempelde Ten Kate), en ook de vele illustraties vormen een meerwaarde voor de bundel. Rick Honings & Olf Praamstra (red. ), Ellendige levens. Nederlandse schrijvers in de negentiende eeuw. Hilversum: Verloren, 2014. 286 pp. isbn: 9789087043742. €25,– . Trauma is een zeer actueel onderwerp waarover men niet uitgepraat raakt. Dit is logisch, aangezien trauma een veelvoorkomend fenomeen is dat wereldwijd een grote invloed uitoefent op culturele representatie. Maar ergens is dit ook tegenstrijdig omdat trauma zich slecht laat vangen, laat staan in samenhangende en soepel lopende verhalen. Precies dit spanningsveld, dat tussen de behoefte om enerzijds een traumatische ervaring te verwerken door er over te vertellen en anderzijds de onmogelijkheid dit op een begrijpelijke wijze te doen, zonder bovendien de eigen ervaring en die van de slachtoffers die het trauma niet overleefd hebben te verraden met een ‘onjuiste’ weergave, is de focus van Woordeloos tot verhaal. Trauma en narratief in Nederlands en Afrikaans. De komst van deze unieke en vooral brede studie is goed nieuws voor het onderzoek naar trauma in de Nederlandse cultuur en letterkunde. 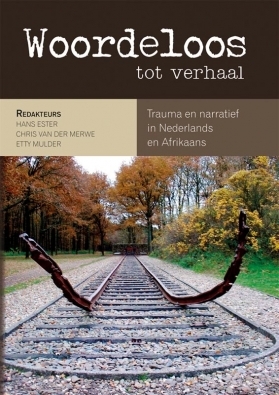 Hoewel het boek verwantschap toont met het Engelstalige Trauma, Memory and Narrative in the South African Novel (Rodopi, 2012) en Toenadering. 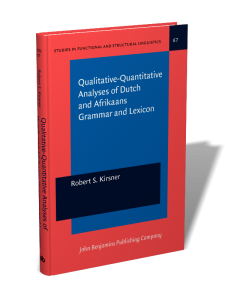 Literair grensverkeer tussen Afrikaans en Nederlands (Acco, 2012), biedt het, in tegenstelling tot deze eerdere publicaties, een waarlijk interdisciplinair perspectief op de rol van narratieve representaties in de verwerking en kenbaarheid van trauma als gebeurtenis en als fenomeen. Bovendien doet het dit als een van de eerste op het snijvlak tussen het Nederlands en het Afrikaans. Het brede scala aan benaderingen en onderwerpen (inclusief inleiding een fors vijfentwintigtal) is van grote toegevoegde waarde voor het denken over trauma in Zuid-Afrika en de Lage Landen. De verschillende auteurs doen precies wat de titel impliceert, alleen dan vanuit verschillende invalshoeken: zij richten zich allen op de complexe relatie tussen trauma en narrativiteit. Hierdoor ontstaat een verfrissende interdisciplinaire verbreding van wat men onder een verhaal kan verstaan en met welke technische middelen een vertelling een functie kan vervullen in relatie tot traumatische ervaringen. Ik noem twee voorbeelden. Van methodologisch belang is de bijdrage van Wytske Versteeg. Zij voorziet de bundel van een waardevol reflexief element door trauma als discursief construct te benaderen en aandacht te besteden aan de verschillende ‘verhalen’ die men in de loop van de tijd over het concept zelf heeft gefabriceerd. In bijvoorbeeld de populaire cultuur gaat trauma voornamelijk over (fysieke) wonden en, nog belangrijker, het helen en genezen daarvan. In het academische vertoog wordt echter juist ingezoomd op de onzegbaarheid en onoplosbaarheid van trauma (68). Vooral deze laatste benadering brengt zij in verband met de ‘afgrondervaring’, namelijk hoe men in de benadering van trauma vaak vanuit een veilige positie wordt gebiologeerd door de aantrekkingskracht van het sublieme. Hiermee nodigt zij uit tot een kritische reflectie op de rol van de wetenschapper in de bestudering van trauma. Naast deze reflectie op trauma als discursief verhaal, bevat de bundel een bijdrage van Rosemarie Buikema waarin zij trefzeker laat zien hoe een trauma, alsook de eventuele verwerking ervan, door de herhaling van bepaalde verwijzingen en materialen over verschillende media heen kan worden getild om een ‘groter’ verhaal te vertellen. Zij richt zich in dit artikel op de materiële herhaling van het in het Zuid-Afrikaanse dagelijkse leven alomtegenwoordige blauwe plastic boodschappentasje, dat door één van de beroemdste vrouwelijke ANC strijdsters werd gedragen om in de gevangenis haar naaktheid mee te bedekken. Buikema beschrijft hoe de gruwelijke rol van dit zakje in het leven van Phila Ndwandwe aanvankelijk onthuld werd door de Waarheids- en Verzoeningscommissie, door Antjie Krog omschreven werd, vervolgens een verwijzing werd in een door beeldend kunstenaar Judith Mason uit blauwe plastic tasjes bestaande jurk, die vervolgens weer door Krog gezien en beschreven werd. Het jurkje, zo schrijft Buikema, verwijst tegelijkertijd naar het trauma van Phila Ndwandwe, naar het collectieve trauma veroorzaakt door de ontdekking van de marteling, naar consumptie in Zuid-Afrika, maar vooral ook naar een ‘nieuwe gemeenschappelijke huid’ (190). De mogelijkheid tot verzoening ‘wordt zo een ritme dat zich, hoe langzaam ook, met iedere nieuwe herinnering naar aanleiding van elk willekeurig plastic tasje dieper in het culturele geheugen van de postkoloniale post-apartheid maatschappij inschrijft’ (190). Buikema toont hiermee aan dat de herhaling en terugkeer van trauma niet alleen een vervreemdende en vernietigende kracht kan uitoefenen, maar in kunstzinnige vorm ook aanleiding kan geven tot individuele en maatschappelijke regeneratie. De grootste vraagtekens rijzen dus niet bij de artikelen, die meestal van hoge kwaliteit en ter zake doende zijn, maar eerder bij de inkadering van het boek dat uiteindelijk versplinterd en ‘onaf’ aanvoelt. 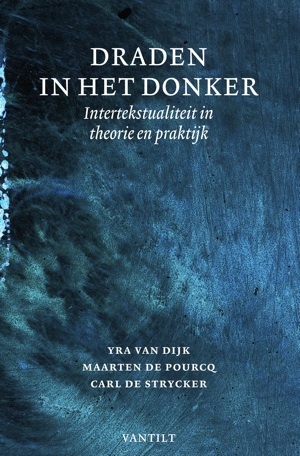 Zoals gezegd heeft het boek twee speerpunten: de interdisciplinaire bespreking van trauma en de rol van trauma in het Nederlands en het Afrikaans. Hoewel deze twee aspecten elkaar niet per definitie tegenspreken, is de samenhang ertussen ook niet onmiddellijk duidelijk. De keuze voor het samenbrengen van interdisciplinariteit met taal wordt in de inleiding wel genoemd, maar niet verantwoord. Ook in de hoofdstukindeling is zij eigenlijk amper terug te vinden. Men zou daar een weerslag verwachten van één van de twee insteken of een combinatie van beide, maar treft daar noch het één noch het ander aan. 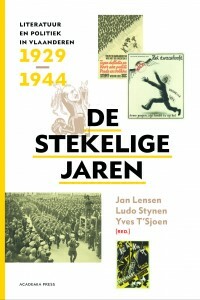 Het boek opent met een toonzettend deel over de Holocaust, dat fungeert als een theoretische inkadering, maar in feite een indeling naar casus impliceert (een sectie over apartheid ontbreekt daarbij), gaat dan verder met een thematisch deel over transgenerationeel trauma en een historisch gedeelte over overgangsperioden in beide landen, om te eindigen met een letterkundige, en dus disciplinair georganiseerde sectie over Zuid-Afrika. Als zodanig wordt de lezer door een onmogelijke veelheid aan potentiële indelingen geleid. 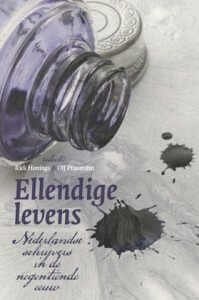 Dit neemt overigens niet weg dat dit boek een belangrijke stap zet in het bijeenbrengen van trauma studies in het Nederlands en het Afrikaans en het een unieke mogelijkheid biedt om de aard van trauma en de wijze waarop het in deze twee letterkundes wordt gerepresenteerd naast elkaar te leggen. Er is veel te winnen bij een dergelijk vergelijkend perspectief. Wat voor soort trauma wordt er bijvoorbeeld gecreëerd door een vijf jaar durende bezetting ten opzichte van een discriminerend en gewelddadig regime dat 45 jaar gehandhaafd wordt? Zijn er verschillen of overeenkomsten in de vormen van representatie die in stelling worden gebracht om het te verwerken en wat zegt dit dan over de werking van trauma, bijvoorbeeld op psychotherapeutisch of maatschappelijk vlak? De inleiding biedt helaas onvoldoende inzicht in dergelijke overkoepelende vragen. 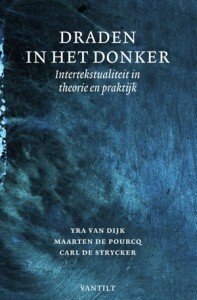 Wat de hoofdstukken bijdragen aan de twee speerpunten van het boek, te weten het interdisciplinaire concept trauma, en/of hoe trauma in de twee talen verschilt of overeenkomt, wordt daardoor in het ongewisse gelaten. Het feit blijft echter dat dit een waardevolle, caleidoscopische toevoeging vormt op het idee dat trauma, de verwerking en de representatie ervan (in woorden of op andere wijze) op gespannen voet met elkaar staan.